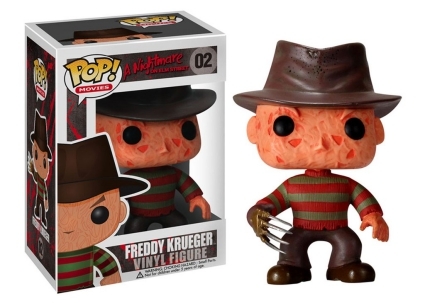 One, two, Funko Pop Freddy Krueger is coming for you! Oh yes, we did. The reigning Dream Demon has a few options including a chase variant along with combination packs. Anyone who grew up in the late '80s or early '90s will most likely remember being haunted by Wes Craven's A Nightmare on Elm Street and the creepy killer who made the teens from Elm Street (and around the country) afraid to fall asleep. 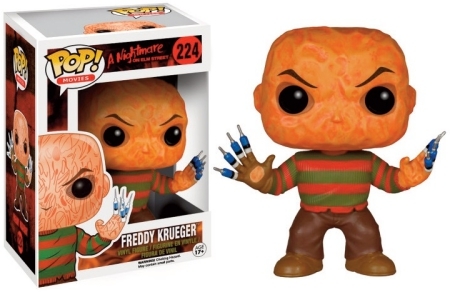 Fittingly, Freddy Krueger is #02 in the main Pop! Movies line wearing the notorious green-and-red striped sweater. There is also a glow-in-the-dark variant. Order Freddy Krueger Figures on Entertainment Earth. While the original figure featured the "Springwood Slasher" with a fedora and his weapon of choice—a glove with long razor blades for fingers—the Hot Topic exclusive commemorates A Nightmare on Elm Street 3: Dream Warriors by replacing Freddy Krueger's blades with syringes. Maybe the ultimate horror combination, Freddy Krueger and Jason Voorhees are paired together for two exclusive sets. 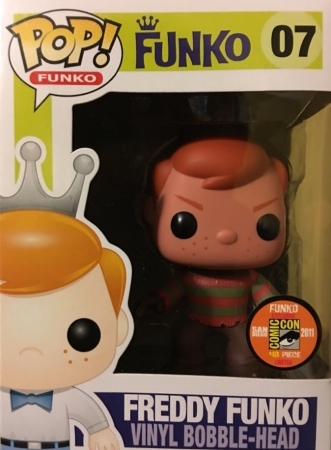 BoxLunch has a bloody version, while the FYE two-pack without blood is still somehow terrifying. 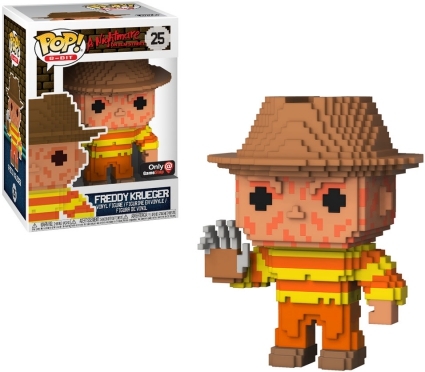 A perfect fit in the Funko Pop 8-Bit line, Krueger receives a pixelated makeover including a vinyl displaying the classic NES "candy corn" colors that is issued through GameStop. Freddy Krueger, Jason Voorhees - f.y.e. Funko Pop! Movies A Nightmare on Elm Street Freddy Krueger #02 WITH PROTECTOR! A NIGHTMARE ON ELM STREET FREDDY KRUEGER BLU RAY DVD FUNKO POCKET POP SET NEW! 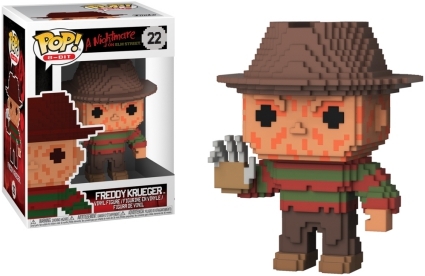 2-Pack: Freddy Krueger and Jason Voorhees - f.y.e. 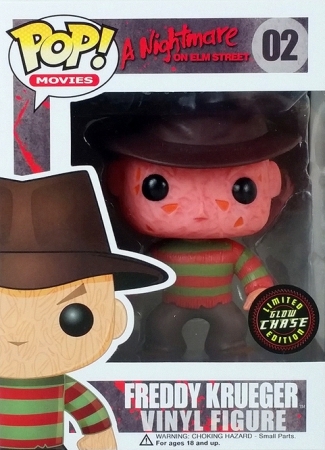 Enjoy related Freddy Krueger figures with our Funko guides. View more information for Nightmare on Elm Street Trading Cards. funko pop lot #48 Freddy Krueger chase hot topic Jason voorhees 8 bit GameStop!